Elder Scrolls 4: Oblivion (2006) was a game that helped redefine the PC RPG with such level of detail and realism as well as professional voice actors (such as Patrick Stewart). The soundtrack is also an impressive work by Jeremy Soule, a mature work whose influences can be seen reflected from his earlier visions of how game music should be defined. It also contains very personal elements – Soule was involved in a terrible car accident (that he left virtually unscathed), which lead him to see the preciousness of life and depict this within each score of the game. The songs were virtually unrevised, and so are well thought-out first impressions from Soule’s heart. “Sunrise of Flutes” is my favorite piece from the album. It’s the daytime theme for several towns (songs change for the night, like in Zelda: Ocarina of Time and Castlevania II). There core of the song is built around about a dozen notes played on flute, though there is a short interlude that interrupts halfway through until about 2 minutes in. Calm and peaceful, the song has a slightly inquisitive nature for exploring, but also the precious fragility of this life, threatened by the forces of darkness that seem so far away in these sunny streets. Soule’s style is prevalent in “Sunrise of the Flutes”, which contains compositional echoes with Secret of Evermore. The entire soundtrack has this level of orchestral glory that paints a brilliant picture of a medieval fantasy world. The Oblivion soundtrack was published through DirectSong, which is an iTunes-type site which sells ‘high-quality’ MP3s without DRM (I’d prefer FLAC sales, too). Soule uses DirectSong for most of his work, and his Guild Wars and Prey soundtracks are on there as well for $9.99 a pop. It’s a pretty nice soundtrack for a good price. 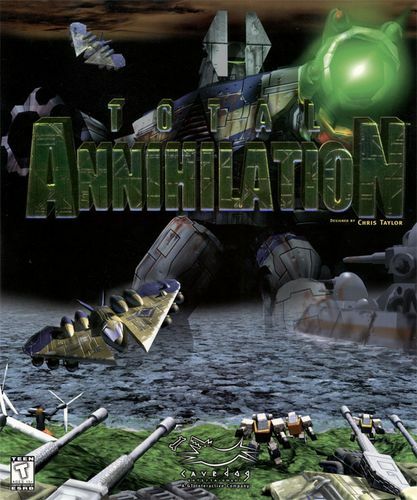 Total Annihilation (1997) was a PC mech RTS game and an early composition by now-famous Jeremy Soule (pronounced ‘soul’; Secret of Evermore, Elder Scrolls IV: Oblivion). The game is the struggle between two ‘human’ armies, one, the Core, which is composed of humans whose consciousnesses have been transferred into machines, granting them indefinite life; and the other, the Arm, which resists the government’s mandate that all people transfer their consciousnesses to machines. The soundtrack is characterized by a combination of martial and inspiring music similar to Star Wars but also somber, muted and mysterious music describing tragedy and brooding silence. One of my favorite tracks from here, “Forest Green”, is a member of the former category. You can check out the entire soundtrack at LostVGM. “Forest Green” contains an instrument selection similar to that found in the forest theme of Odin Sphere (“Battle of the Forest of the Witch”) as well as the Gamecube trailer “Rebirth” – strings, triangle, and trumpets, which capture the bustling energy and verdant life of the forest. This section builds quite nicely to the energetic trumpet break (beginning 0:56) is reminiscent of classic WarCraft II and III Human themes (not that surprising, considering they’re the same genre), and the well-defined melody makes the track very memorable. 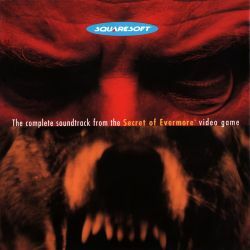 Soule recorded the soundtrack through a live performance of the Northwest Sinfonia orchestra, hence its superior sound quality to many other games of the time. With a background in the limitations of game audio for the SNES (still a powerful system, but nowhere near the capabilities of CD audio), Soule took full use of the properties of Redbook Audio to not only provide high-fidelity audio with track switching for events, he also allowed users to insert their own audio CDs to create custom soundtracks. Very few games today grant users that much freedom over their soundtracks, making Total Annihilation even more impressive. Not only was Total Annihilation superbly designed (winning the best RTS award from Gamespy in 2004, beating out the more widely known StarCraft), but the game has an outstanding orchestral soundtrack which won the Best Soundtrack award from Gamespot. Total Annihilation’s spiritual successor is Supreme Commander (2007), also composed by Jeremy Soule.